The Smith Family papers were donated to the Office of the Vice-President by James Somers Smith, Jr. and transferred to the University Archives (UARC) by William H. DuBarry in February 1956. 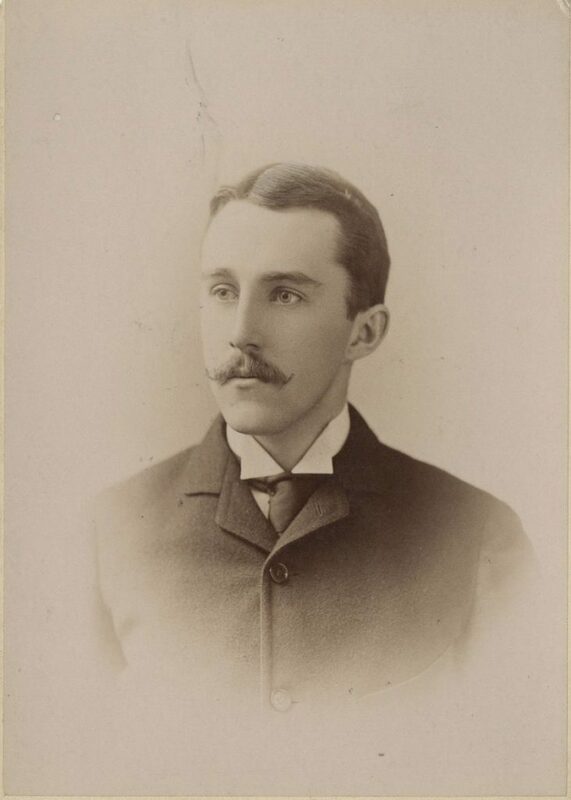 The Smith Family Papers are organized into four series – James Somers Smith (1822-1894), James Somers Smith (1866-1956), James Somers Smith, Jr. (1889-1972), and Other – each of which is arranged alphabetically. James Somers Smith was born on February 16, 1822 in Philadelphia, Pennsylvania to James S. Smith, who earned A.B. (1799) and A.M (1802) degrees from the University of Pennsylvania and served as a trustee of the university from 1831 to 1861, and Lydia Leaming. He entered the University of Pennsylvania in 1837 and left after his sophomore year. He served as Secretary and Treasurer of The Philadelphia Contributionship for the Insuring of Houses from Loss by Fire, America’s oldest property insurance company which was founded in 1752. Smith married Anna Maria Welsh, daughter of John Welsh, namesake of the University of Pennsylvania’s John Welsh Centennial Professorship of History and English Literature. James Somers Smith died in Philadelphia on March 30, 1894. James Somers Smith was born on May 26, 1866 in Philadelphia, Pennsylvania to James Somers Smith and Anna Maria Welsh Smith. He entered the University of Pennsylvania in 1883 and earned an A.B. in 1887. After graduation he was a clerk at The Philadelphia Contributionship for the Insuring of Houses from Loss by Fire, and served as Secretary and Treasurer of that organization from 1894 to 1941. He also served as treasurer of the University of Pennsylvania’s Athletic Association and of the Society of Alumni, and was director of the General Alumni Society. He married Mary Nixon and had three children: James Somers Smith, Jr., Nancy Smith (Mrs. Joseph Wood), and Cooper Smith. James Somers Smith died in Philadelphia on March 5, 1956. James Somers Smith, Jr. was born on November 16, 1889 in Philadelphia, Pennsylvania to James Somers Smith and Mary Nixon Smith. He entered the University of Pennsylvania in 1908 and earned an A.B. in 1912. He served as Secretary and Treasurer of The Philadelphia Contributionship for the Insuring of Houses from Loss by Fire from 1941 to 1954. In addition, he was treasurer of the University of Pennsylvania’s General Alumni Society from 1939 to 1949. On Founder’s Day in 1950, the University awarded him an Alumni Award of Merit. 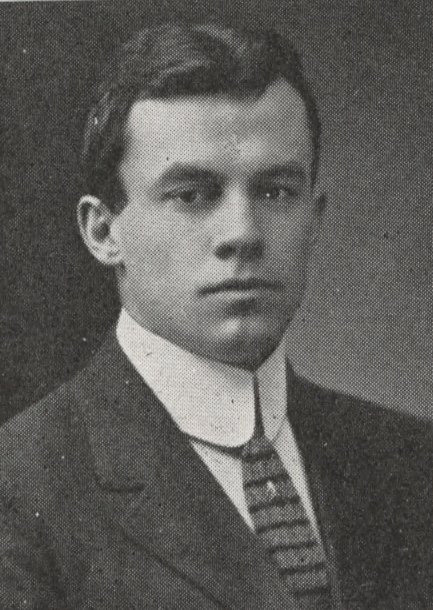 His younger brother, Cooper Smith, was also an alumnus of the University of Pennsylvania (Class of 1923). James Somers Smith married Katharine Hancock. They had a son, James Somers Smith III, and a daughter, Lydia Leaming Smith (Mrs. James Reid Thomson). James Somers Smith, Jr. died in Philadelphia on January 29, 1972. This small collection documents three generations of University of Pennsylvania alumni who were all associated with The Philadelphia Contributionship for the Insuring of Houses from Loss by Fire, the country’s oldest property insurance company. The James Somers Smith (1822-1894) material consists of semester evaluations from his stint at the University of Pennsylvania and notebooks, some of which date to his time at the University and some which date to earlier. The James Somers Smith (1866-1956) materials consist of exams and reports, both from his time at the University of Pennsylvania and earlier while he was a student at Philadelphia‘s Academy of the Protestant Episcopal Church. There is material regarding Smith’s involvement with the fundraising for the construction of a gymnasium at Franklin Field, correspondence with Alois P. Swoboda, a mail-order fitness instructor, and a small amount of correspondence pertaining to fundraising to open a University of Pennsylvania alumni club in New York City. The material pertaining to James Somers Smith, Jr. (1889-1972) consists of two club certificates and semester evaluations from his freshman and sophomore years at the University of Pennsylvania. There is also correspondence regarding a university-wide revision of the “rushing” policies of fraternities which took place during Smith’s senior year. Lastly there is a notebook belonging to Thomas Leaming Smith, older brother of James Somers Smith (1822-1894) and Secretary-Treasurer of the Trustees of the University of Pennsylvania from 1838-1841. A Catechism of Chemistry n.d. Unidentified Group Photograph [possibly Class of 1887 reunion] n.d.